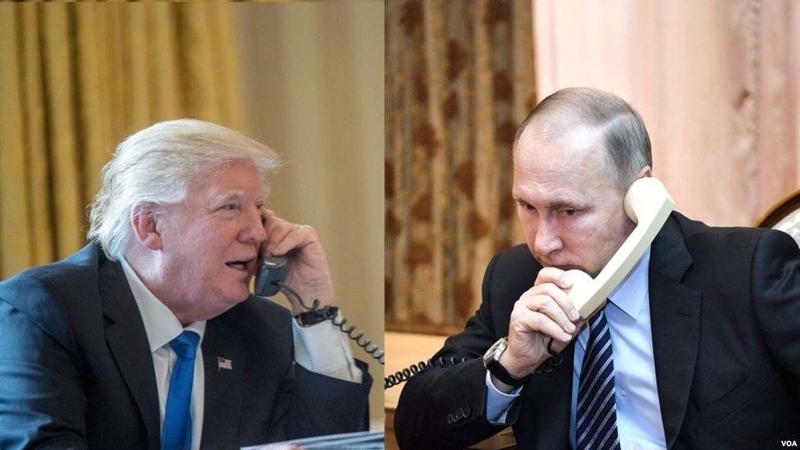 Presidents of the United States and Russia Donald Trump and Vladimir Putin during a telephone conversation on Tuesday, November 21, touched on the situation in the Donbas. The conversation was focused on Syria and Ukraine, as well as Iran and North Korea. The telephone conversation took place a day after Vladimir Putin held a meeting with Syrian President Bashar Assad in Sochi. Following the conversation of D. Trump and V. Putin, the press service of the Kremlin noted: "When considering the crisis situation in the southeast of Ukraine, the Russian president drew attention to the lack of a real alternative to the unconditional implementation of the Minsk agreements of February 12, 2015". Earlier, US President Donald Trump decided to include North Korea into the list of countries that sponsor terrorism.